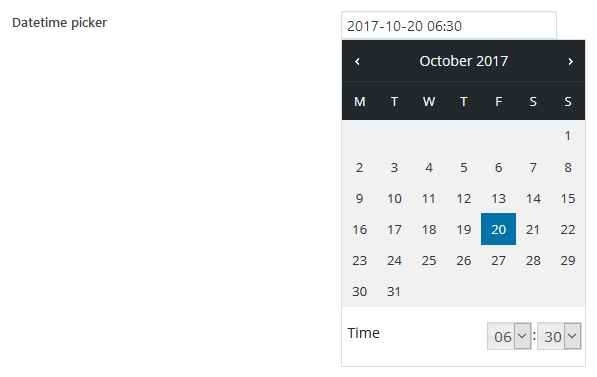 The datetime field allows you to select a date and time via a friendly UI. This field uses jQuery UI date & time picker libraries. 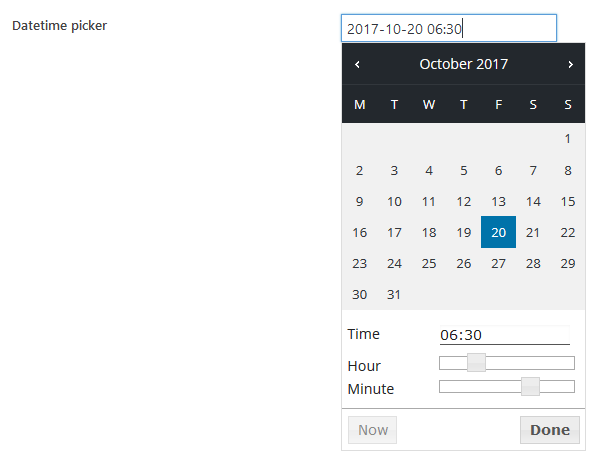 js_options A combination of date picker and time picker options. See date picker options and time picker options. So when displaying to users, the date will have the format of 30-01-2019 05:00 and when saving to the database, it will have the format of 2019-01-30 05:00:00.